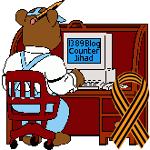 The Religion of Peace — 1389 Blog - Counterjihad! You’ll be surprised to hear why Panera Bread and SonicWALL blacklisted Foehammer’s Anvil! Tell Panera Bread and SonicWALL to Stop Censoring Foehammer’s Anvil!